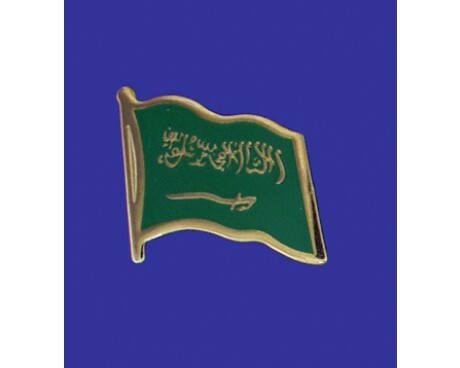 Saudi Arabia Stick Flag - 4x6"
Saudi Arabia is a young nation, but there have still been four different designs for the Saudi Arabia flag. 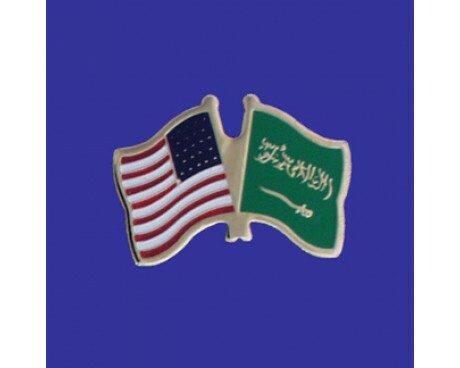 Saudi Arabia flags also show a clear influence from historical flags that were used in the same reason, so to some extent the history of Saudi Arabia flags is that of the nation's precursors. 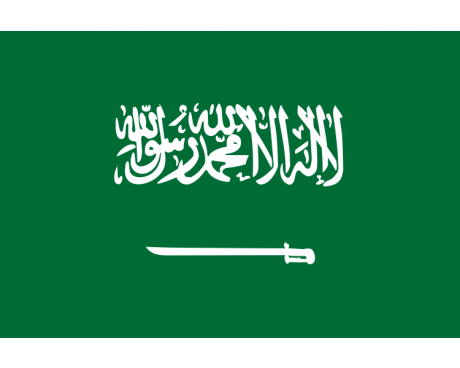 The flag of Saudi Arabia is the flag used by the government of Saudi Arabia since March 15, 1973. It is a green flag featuring in white an Arabic inscription and a sword. The inscription is the Islamic creed, or shahada. The Saudi Arabia flag depicts a white sword and inscription upon a solid green field. The flag's text is the shahada, the Islamic declaration of faith. The text serves as a clear representation of the nation's Islamic heritage, which is further represented by the green field. The text also emphasizes the nation's association with the Wahhabi movement, which frequently used the declaration on its flags. The white sword represents the royal house of Saud, which founded the country. It also symbolizes the nation's military strength. The flag of Saudi Arabia bears a strong resemblance to that of Nejd, which was a precursor to Saudi Arabia itself. The flag of Nejd that was used from 1921 to 1926 had the same green field as the flag of Saudi Arabia, which is common to many Islamic nations. It also bore a white sword and the Islamic declaration of faith, although it differed from the Saudi flag in that the text and emblem were significantly larger and the sword faced in the opposite direction. Nejd used a different flag from 1926 to 1932, which added a white border and removed the sword. Those flags were likely a strong influence on Abdulaziz Al-Saud, who founded the nation of Saudi Arabia. His personal banner provided the basis for the nation's flag. The earliest form of the flag was adopted in 1932, and it featured both a white stripe and a slightly different design for the sword. Later designs shrank the white stripe and eventually removed in completely. The most recent design was adopted by the government of Saudi Arabia in 1973, and it changed the flag by altering the shape of the sword.